So David Valdes Greenwood is the fabulous author of three books: Homo Domesticus, A Little Fruitcake, and The Rhinestone Sisterhood, for which he travelled through the world of small-town festival queens. That is, pageant ladies with titles like Frog Queen and Swine Queen who represent their towns’ local industries in sparkling and glamorous fashion. 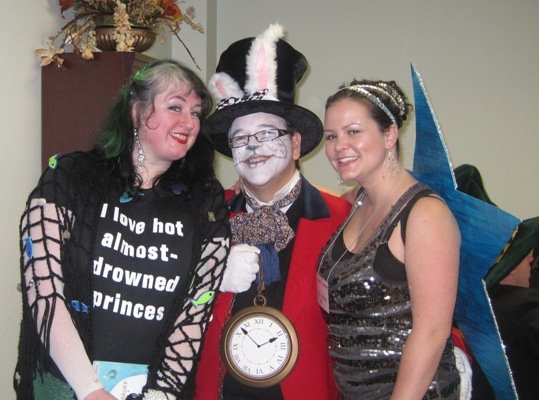 Fittingly, I met David at the Pulpwood Queens’ Girlfriend Weekend this past January, and we not only shared barbecue and Frito pie but danced at a honkeytonk, along with many other authors, whilst he was dressed as the White Rabbit (and yours truly as a mermaid, of course). This is, as everyone knows, how authors bond. Here is David bonding with me and that ne’er-do-well Jeanine Cummins. 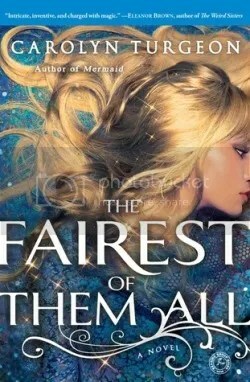 So amongst all those queens and princesses and general pageantry, you know there had to be some mermaids somewhere, and I mean on the festival circuit, not just at Girlfriend Weekend. Below, David graciously shares with us a story of one such encounter. You never know where you’ll find a mermaid. 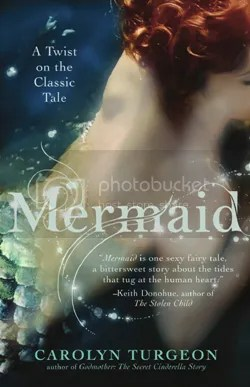 When I was traveling the country following the adventures of small-town festival queens for my book The Rhinestone Sisterhood, I discovered a school of mermaids in a most unlikely place: on the sun-baked city streets of northern Washington state. Their on-land identities were nearly as surprising: they were the 2008 Irrigation Queen and her Irrigation Princesses (one of whom is shown here). The Sequim Irrigation Festival – at 116 years, the oldest continuously-held event in the state – pays tribute to the importance of water in transforming the dry prairie into rich agricultural terrain. And if you’re going to celebrate the magical properties of water, who better than mermaids to represent you? 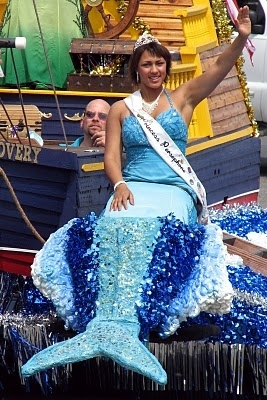 Of course, it’s not easy being a mermaid: unlike mere mortal queens representing more earthbound titles, the queens on this float had to wave not only their hands but their tails. Hopefully Mr. Ellinghaus will be replaced by someone with at least a minimal understanding of Marketing 101. Unfortunately Mr. Ellinhause did not, but I am sorry to hear that he has health issues.